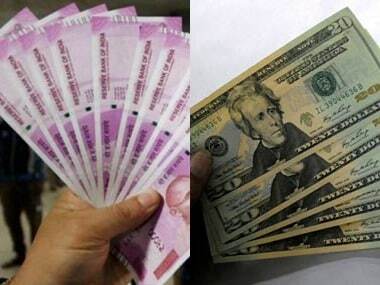 Mumbai: The rupee weakened by 36 paise to 70.04 against the US dollar in opening trade on Tuesday on rising crude prices and some demand for the American currency from importers. 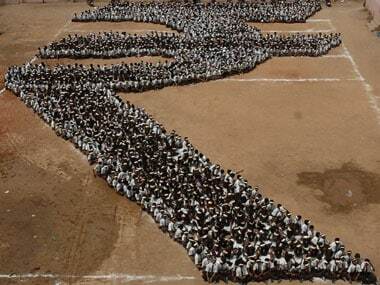 The rupee opened weak at 69.83 at the interbank forex market against its previous close of 69.68 per dollar. It moved in range of 70.06 per dollar to 69.83 per dollar in early trade and was trading at 70.04, showing a fall of 36 paise against the greenback. Brent crude futures, the international oil benchmark was trading 0.23 percent higher at $57.46 per barrel. The rupee weakened even after the Central Statistics Office (CSO) released positive advanced estimates of national income for 2018-19. The domestic economy is expected to grow at 7.2 percent in 2018-19 against 6.7 percent in the previous fiscal mainly due to improvement in the performance of agriculture and manufacturing sectors, the CSO had said Monday. Forex dealers said early losses in domestic stock markets weighed on the rupee, but a weak dollar in overseas markets capped the fall. The dollar was trading lower against major peers and 10-year treasury yields were steady. On Monday, the rupee had gained 4 paise to end at 69.68 against the US dollar following dovish stance by the Federal Reserve and rising hopes of a thaw in ongoing US-China trade tiff. Meanwhile, the benchmark BSE Sensex slipped by 58.53 points, or 0.16 percent, to 35,791.63 in opening trade Tuesday.